Am I A Celebrity In The Jungle? This week, many celebrities have joined Ant and Dec in the Australian jungle for a bit of a sunny holiday, and to appear on ITV's extremely popular show, I'm A Celebrity Get Me Out Of Here. But are they really A listers or Z listers? Here is a list of the names of the so-called celebrities, so see if you know who they actually are. Remember, it is just for fun. 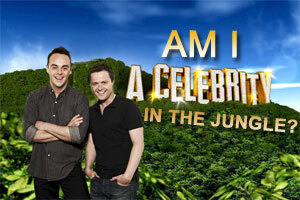 So, play along at home as we play our very first game of AM I A CELEBRITY IN THE JUNGLE? So how did you do then? According to your knowledge, as a member of our generation, how many celebrities are actually in the jungle this week? Did you get any? !